Batteries ship from various warehouses and usually arrive within 5 to 7 business days. MK Battery's Sealed Gel Cell Battery is the standard by which all other Gel Cell batteries are judged. The MK Battery 8G34 is made using Advanced American Technology that uses modern computer-aided design and manufacturing techniques. This makes MK Battery’s Gel Cell Batteries the best money can buy! MK Battery supplies batteries that are manufactured under the most versatile computer control battery formation system and technology to achieve the highest quality. The automated, computer controlled system provides programmed functions for steps of current, time, voltage, temperature and event control to match the performance specifications of your application requirements. NO SPECIAL HANDLING REQUIREMENTS ~ NON-SPILLABLE by DOT (Department of Transportation), ICAO (International Commercial Airline Organization) and IATA (International Airline Transportation Association) definitions. Less than 2% per month standing self discharge. Popular Applications: Power Wheelchairs, Lifts, scooters, Etc. MK Gel Cell Batteries REQUIERS special battery charging profile as do all Gel Cell Batteries. If uncertain if the battery charger you currently using will properly charge a Gel Cell battery please consult BatteryStuff.com before using the charger. Typically RV and Marine charging systems will require modification when using Gel Cell Batteries. Note: It is very common the AGM battery is mistaken as a Gel Cell as their outward appearance, characteristics and specifications are similar. 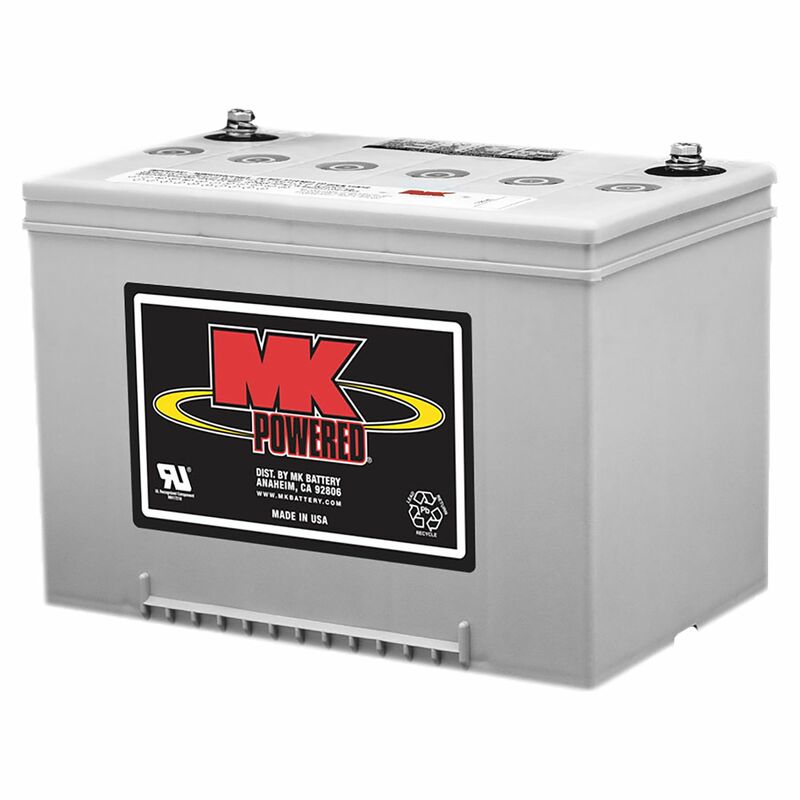 MK Battery is a wholly owned subsidiary of East Penn Mfg Co (DEKA) of Lyon, PA.
Do you own the 8G34? Please, tell us what you think about it. It helps us provide you with better products. Please note that it may take up to 72 hours for your review to appear.